Exporter of a wide range of products which include seeds solvent extraction plant. Technochem is the well known name in the market for manufacturing Minor Oil Seeds Solvent Extraction Plant with a magnificent production capacity. Offered plant makes use of a variety of seeds such as neem, mahua, karanj, mango kernel, sal, kokum, dhupa, and shear by following the normal standard procedure for efficient solvent extraction process that yields high results. 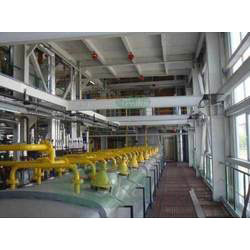 Looking for Minor Oil Seeds Solvent Extraction Plant ?